Some people have the power to cast a spell upon us and we tend to get attracted to them like a moth to fire. Getting involved with such people leaves us only with horrifying experiences, yet we can’t stop going back to them. No matter how much we try our defenses crumble in their presence and we keep going back to them. Despite betrayal, emotional and physical torture, we just can’t disbelieve their apologies or promises to improve and be good. Such people are irresistible, and even after leaving them, the temptation to go back is always overwhelming. If you have had enough painful episodes with such a man or woman, you know deep down in your heart that these people never change. Their show of repentance is false and things will be just the same as they were before once you are back. No matter how weak your heart is, you must stand up and persuade yourself against going back to a toxic person. Remember, your needs and desires will never be addressed and you will always be the last on their priority list. You are not present in their lives for emotional reasons but to feed their ego and fulfill their needs. While being happy is in one’s own hands, feeling lonely, sad, heartbroken or insulted is also not desirable because of the actions of the other in a relationship. For a relationship to work, it is important that both partners feel happy and satisfied. At any moment if you feel you would be happier alone, it is time to call it quits. It is human nature to resist the idea of change. This makes moving on extremely difficult. We tend to associate comfort with familiarity and keep going back to abusive relationships and fall into a vicious circle. However, once you summon the courage to move on, you bring positivity in your life and open fresh channels allowing new people to enter. With time, new people will come who will treat you much better making you feel loved again. Don’t let anybody make you believe you deserve less. 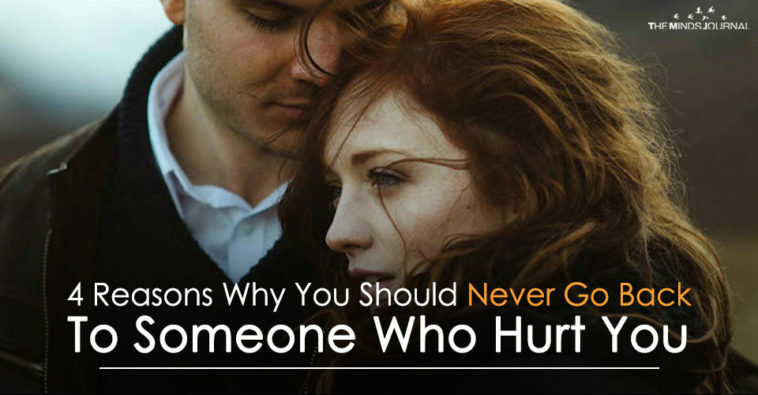 Abusive relationships lead us to believe we deserve ill-treatment. Even, we begin to blame ourselves for the poor state of things. The first step towards redemption begins with the strength to believe you are not the one who is to be accused. When you leave, the desire to go back is very strong and breaking up even more difficult. However, if you are strong enough, you will be able to get rid of the toxic relationship. And, while you are passing through the healing phase, avoid contact with that person completely. Heartbreak is an intimate feeling and t would be some time until you get the strength to overcome a wrong person who tries to control your mind, body and emotions and use you for their benefit. Ultimately, it is you who are in charge of your happiness. The onus lies only on you to save yourself from a wretched life and see the light of happiness that you really deserve.